Is coconut sugar a good alternative to refined sugar? Coconut sugar, also known as coconut palm sugar or coconut blossom sugar is a natural sweetener made from the flower buds of the coconut tree. 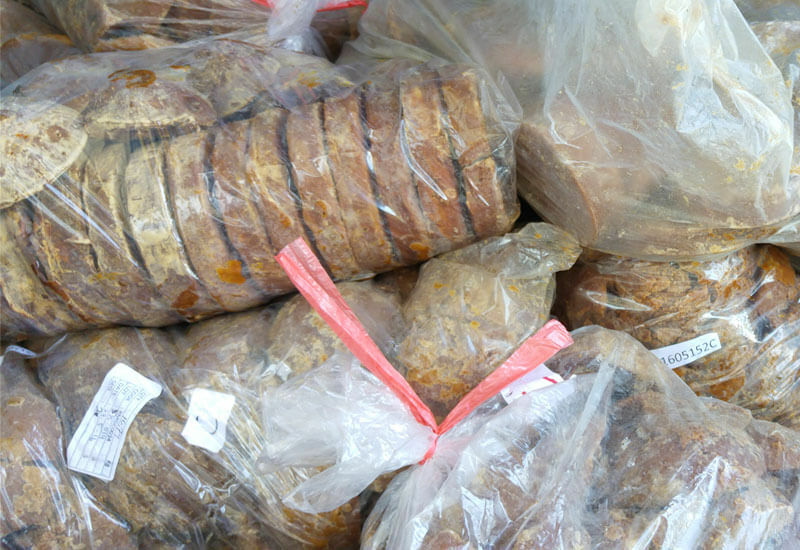 It has been used in countries in South-East Asia throughout ages in both sweet and savory dishes. In recent years coconut sugar has become very popular around the world. This is due to its low glycemic index value and trace minerals content. But how healthy is coconut sugar really? Coconut sugar is made by extracting the nectar from the flower buds of the coconut palm. It’s heated to evaporate the liquid and transforms into a thicker consistency. This is coconut syrup or nectar, another natural sweetener. To make sugar, you need to continue heating the syrup until it becomes very sticky. You then remove it from the flame and stir it until it becomes granular. Coconut sugar comes in different shades of gold-brown, depending on the type of coconut palm and production method. It has a rich, flavor with a hint of caramel. Coconut sugar is a natural product made from the nectar of coconut flower buds. The production method is very natural and doesn’t involve the use of chemicals, pesticides or synthetic ingredients. Coconut sugar has a low glycemic index of 35. The glycemic index or GI measures the effect of food (carbohydrates specifically) on your blood sugar level (glucose). Or in other words how quickly a food causes our blood sugar levels to rise. The body needs to release insulin in order to regulate the blood sugar level. 0 is the slowest a carb breaks down and causes the least blood sugar spike. 100 is the fastest a carb breaks down and causes the greatest blood sugar spike. More about the glycemic index of coconut sugar and how it was tested in the Philippines. Coconut sugar is the most nutritious of all sugars. – Trace minerals such as calcium, potassium, iron, zinc and magnesium. – Polyphenols: phytonutrients that act like antioxidants. – Inulin, a fiber that helps with glucose absorption. – Amino acids: 16 of the 20 amino acids which all play an important role in metabolism. – Vitamins: 12 of the essential vitamin B complex such as vitamin B1, B2, B3, and B6. As well as inositol, thiamine, riboflavin, biotin, pyridoxine, nicotinic acid and pyridoxal. Good quality organic coconut sugar is free from chemicals, pesticides, artificial coloring & flavoring. It’s a very natural product that doesn’t require any additional ingredients or complicated processing. Coconut sugar is not the same as palm sugar. 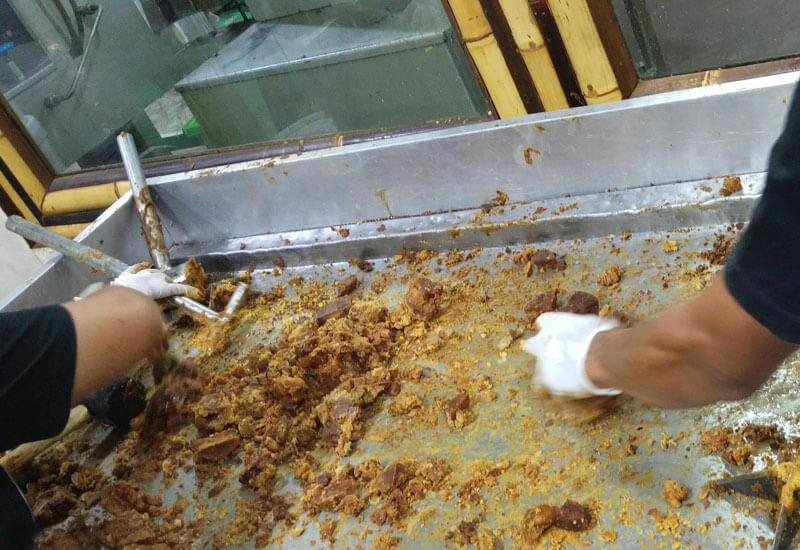 Palm sugar comes from a different palm tree and has a distinct taste. Coconut sugar can replace refined white sugar in a 1:1 ratio. It’s great to cook and bake with, just keep in mind that it needs a little extra time to melt and blend with other ingredients. As mentioned earlier, coconut sugar has a lot of benefits, especially compared to many other sweeteners. But is that enough to consider coconut sugar as a healthy alternative? While coconut sugar is definitely a healthier choice than regular white sugar, it should still be consumed in moderation. Coconut sugar contains approximately 35-40% fructose. A diet high in fructose from added sugars can be an overload on the liver and can lead to several health issues. Coconut sugar is still treated as sugar in the body. It contains the same amount of calories as regular white sugar. If you’re watching your calorie intake, it’s good to know that coconut sugar is high in calories. 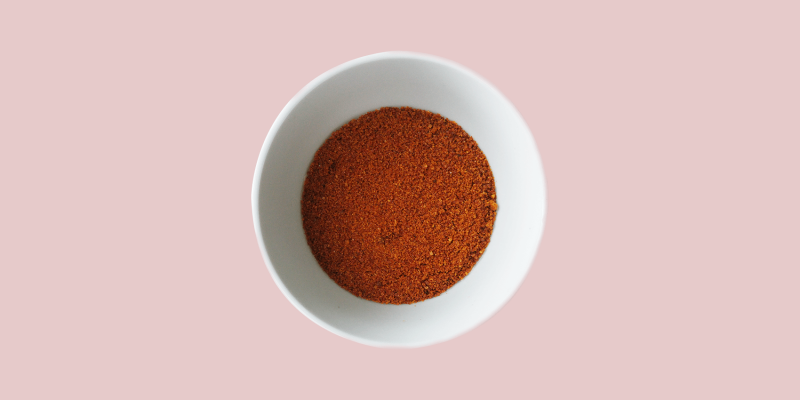 Coconut sugar contains valuable vitamins and minerals, but mostly in small amounts. Consuming a lot of coconut sugar is not a good way to ingest more nutrients. It’s best to get them from whole foods such as fruit, vegetables and legumes. Coconut sugar is usually not a sustainable product. Coconuts are very sustainable, versatile fruits that can be used to produce many products. On average it takes between 6-10 years for the coconut tree to grow its first fruit. It can then, under optimal conditions produce up to 100 coconuts per year. It takes about a year for the flower to grow into a mature coconut. For a coconut tree to get to the peak stage of coconut production can take between 15-20 years. Once you cut off the coconut flowers that are used to make sugar, they won’t grow into coconuts. If this happens in moderation it’s fine, but the worldwide demand for coconut sugar has increased enormously. This affects the existence of coconut trees and the conditions in which they grow. While I try to limit added sugars in my diet as much as possible, I love sweet treats. I usually make my own and aim to make them as healthy as possible. When a recipe requires a sweetener, I like using a natural one such as coconut sugar, dates or maple syrup. It’s very important to me to seek a balance between what I enjoy, what is good for me and what is good for others. This goes especially for the impact of my choices on the environment and animals. I try to be very conscious about it and base my lifestyle choices on it. A year ago I bought two bags (250 grams each) of coconut sugar in Indonesia and I am half way through the second one. I use a bit of it occasionally in my recipes. 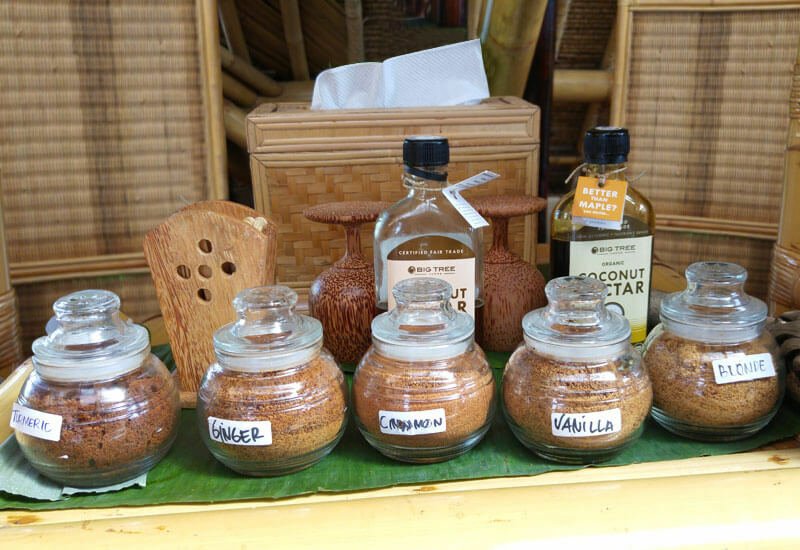 Coconut sugar is also very good to make facial scrubs. It’s very gentle on the skin and contains minerals. Sugar is actually really good for our skin. If you’re trying to cut down on your sugar intake, use it in your skin treatments instead! Coconut sugar can be a healthy alternative, but..
Is coconut sugar healthy or not? Sugar is sugar and the less you use of it, the better, especially when it comes to added sugars. Some types of sugar are worse for you than others. Coconut sugar is among the healthier sweeteners, but it’s good to be mindful about your intake. Eventually it all comes down to balance. The occasional use of moderate amounts coconut sugar within an otherwise healthy lifestyle is totally fine. 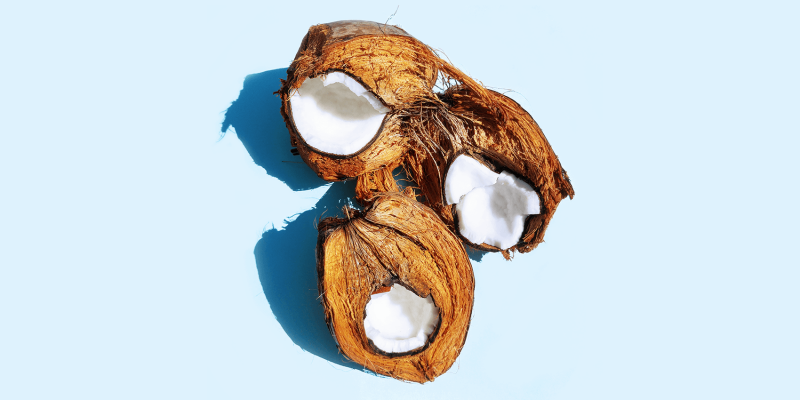 Do you know these 23 edible coconut products?